People live their life with full of hope and expectations. Always they want to have smooth life and wish to see what they want in their life. But not all days are same for everyone. Some days are bad some days are good. Bad days are faced by people with the hope that it would get moved fast and will never repeat. That much is fine. But sometimes for some people, bad days stay for a long time or the effect of bad time stays forever. In such situations, people look for alternatives. And look for some ways to get rid of these bad days. But they don't achieve their goal. How to do it. They can do this with the help of Astrology. Vedic Astrology is the openingto the past, present, and the future. Vedic Astrology gives the details ofthe planet positions in the horoscope of a person and its impact in his life. With these details and expert astrologer can find out the effect of the same and can devise the remedy for most of the problems in life. Horoscope readingis an exclusive skill in itself and very few Pandits master this extensively and very few have the ability of clairvoyance. Horoscope reading needs a person’s birth time and star altitude at the time of birth etc. Horoscope readingwill show theplanet influences on the life of a person based on his birth time and stars at that time. It is relevant to tell here about some of the stars and planets such as Sun, Moon, and Stars. These stars positions at the time of birth of a person contributes to the personality of a person. Only expert astrologers can prepare a precise and correct Horoscope of a person even with meager information about his birth. 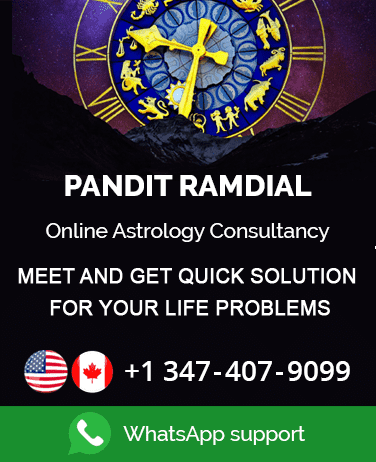 Pandit Ramdial, the great renowned astrologer in USA and Canada is very famous for Horoscope preparation and Horoscope reading. He uses general methods based on Zodiac assessment for predictions of a general lot of people. But when people approach him with special issues he analyzes them with exclusive details of their birth chart and its interpretations. Pandit Ramdial does this with a high level of precision. People have approached him with several issues and larger expectations to find the solutions. He had been catering to them with tremendous care and power to solve the issue astrologically. Horoscope reading gives remedies to moderate the effect of any hostile planetary positions and its influence in life.  Pandit Ramdial the great Indian astrologer in USA and Canada can provideHoroscope reading services very accurately. He has also done many horoscopes matching for marrying couples that led to a happy long married relationship. Pandit Ramdial is good at Horoscope preparation, Horoscope reading, Horoscope matching, and predictions through Horoscope, palmistry etc. Many people approach him for Horoscope matching for marriage. He is the best Indian astrologer in USA and Canada for Horoscope reading services, who can do it with the very pious approach and spotless conscience. Everyone wants to know about their future. That too Horoscope reading is an interesting thing for everyone. If that is done with precision people would love to come back to the expert to know about their past and future. Do not get puzzled as what to do just contact Pandit Ramdial to move forward in getting your Horoscope Reading.